DACA recipient Hilario Yanez on why he supports President Trump’s border wall. President Trump’s call for a border wall is receiving support from an unlikely ally that’s been at the forefront of the immigration debate. 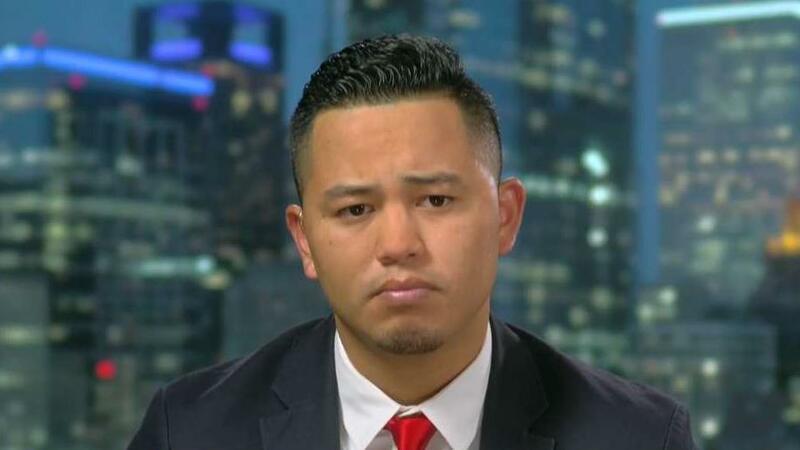 DACA recipient Hilario Yanez told FOX Business that the president has a moral obligation to protect the U.S. southern border. “I think the president has every right to ask for border security. It’s his moral duty to do that and that’s what he signed up to be when he became president,” Hilario Yanez said on Thursday. The Deferred Action for Childhood Arrivals program (DACA, but commonly referred to as the Dreamers) is the Obama-era program that prevents young immigrants from being deported. Yanez arrived in the U.S. with his mother at the age of one, growing up homeless as an undocumented immigrant. Through the assistance of non-profit organizations and friends, Yanez and his mother were able to get back on their feet. In an effort to boost support for the $5.7 billion border wall, the president visited one of the busiest regions of the southern border in the Rio Grande Valley of in McAllen, Texas. Trump was joined by Texas Senators John Cornyn and Ted Cruz, both Republicans. "Where you have a good strong barrier, you don&apos;t have problems," the president told reporters during his tour. Lost in the border wall debate are the “angel families,” a term used by Trump to describe relatives of victims killed by illegal immigrants. Yanez said more stories about angel family members will grow as politics continues to interfere in securing the southern borders. “It is very important that we all unite together and we put a face to the problem to the people that are really being affected by Congress’ inability to do something,” he said.